On Friday afternoon, President Donald Trump signed Congress’s $1.3 trillion omnibus spending bill, despite widespread criticism of the legislation from his supporters. Trump’s move made a lot of people angry and disappointed. 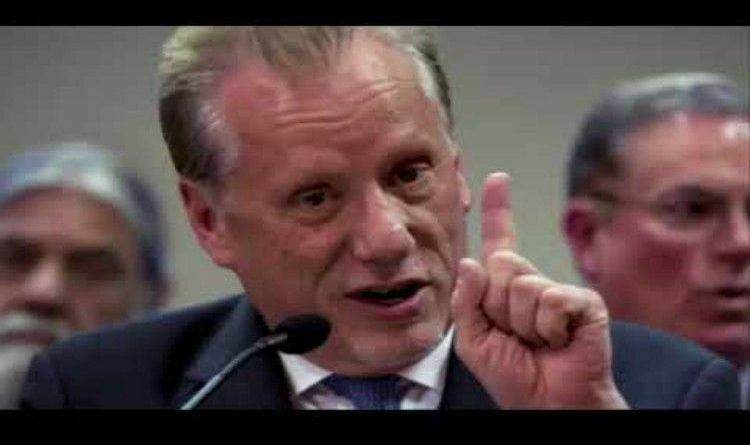 Among them is a conservative actor James Woods who had some harsh words for President Trump. Did some people forget how good this first year was for us? I respect everyone that helps fight this battle online, but if any of us didn’t realize that electing Donald Trump was only the first step then you’re a fool. We need to fight with Trump to drain this swamp…which is a lot darker and deeper than even we realized. And, it is sad when everybody jumps at the chance to criticize Trump when they obviously haven’t listened to the explanation provided. Build the military, get the wall started then look at this again in 6 months! Our President knows exactly what he’s doing. Trump is not going to quit and neither should we. We must be patient, now more than ever! I am sure he has something up his sleeve and will end up being a complete genius. Trump’s Lawyer: Hillary’s State Department Was a “Favor Factory” and New Uncovered Docs Prove It!